This chocolate banana cake is our family’s favourite, it is so easy to make and a great way to use up over ripe bananas! 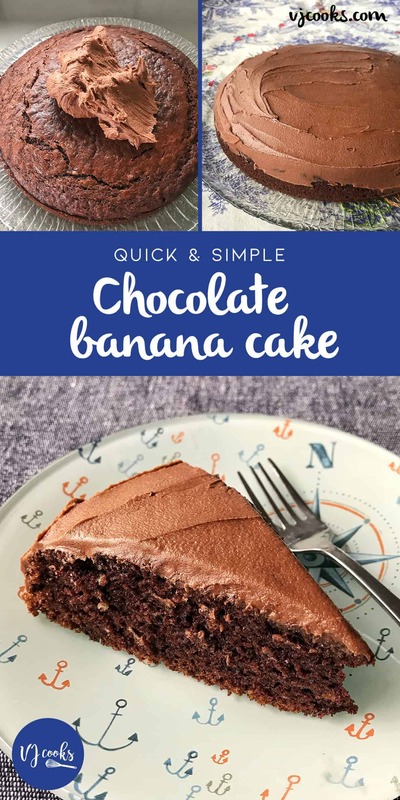 You can’t beat this chocolate banana cake such a great combo! 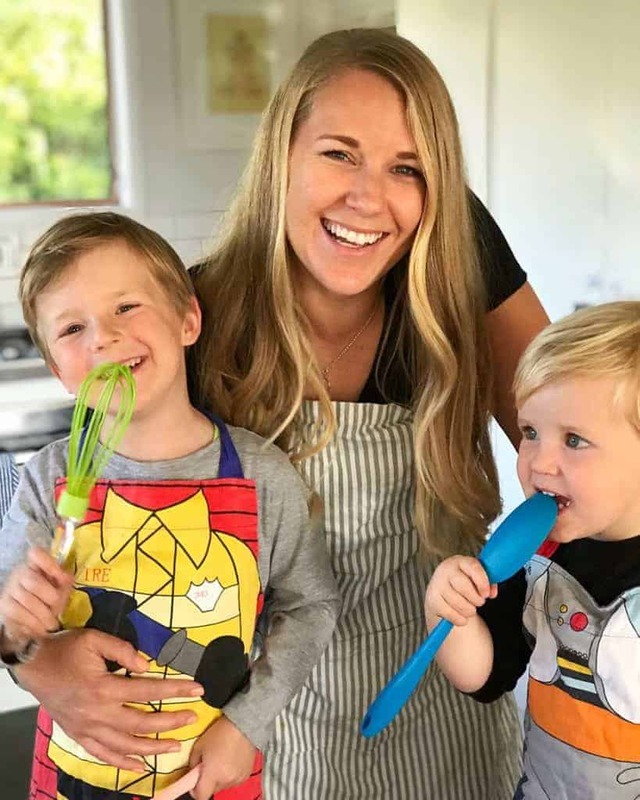 This recipe is super easy and all made in one bowl, poured into the tin and then baked for 40 minutes. 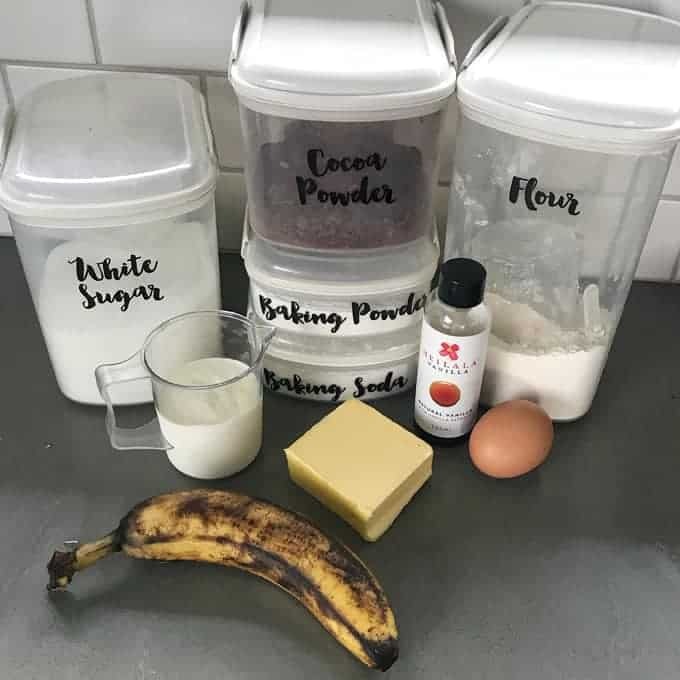 It is a great way to use up bananas that are over ripe and you should have all of the other ingredients in your fridge and pantry. You can use yoghurt or sour cream, which ever you have on hand. 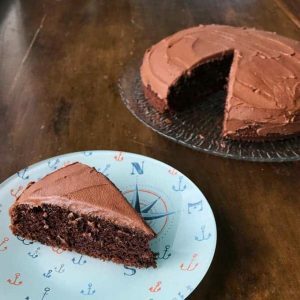 This chocolate banana cake recipe produces a light and fluffy cake your whole family will love. Jazz it up with some sprinkles and candles if you are making it for a birthday party. Or bake it in a square cake tin and ice it like a sheet cake. 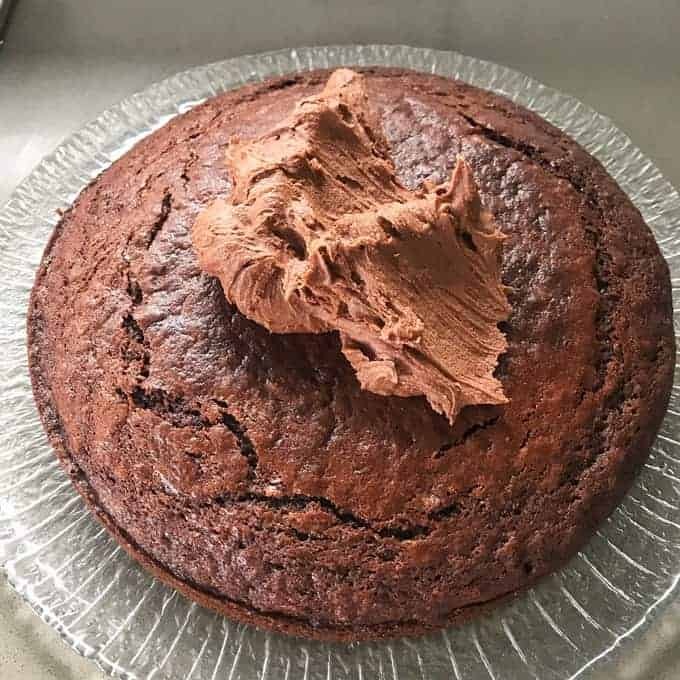 The icing is so easy to make by using icing sugar, cocoa and butter with a dash of boiling water to combine it all together. Spread it over your cake and you are done. You could also cut the cake in half an put a layer of berry jam in the middle. 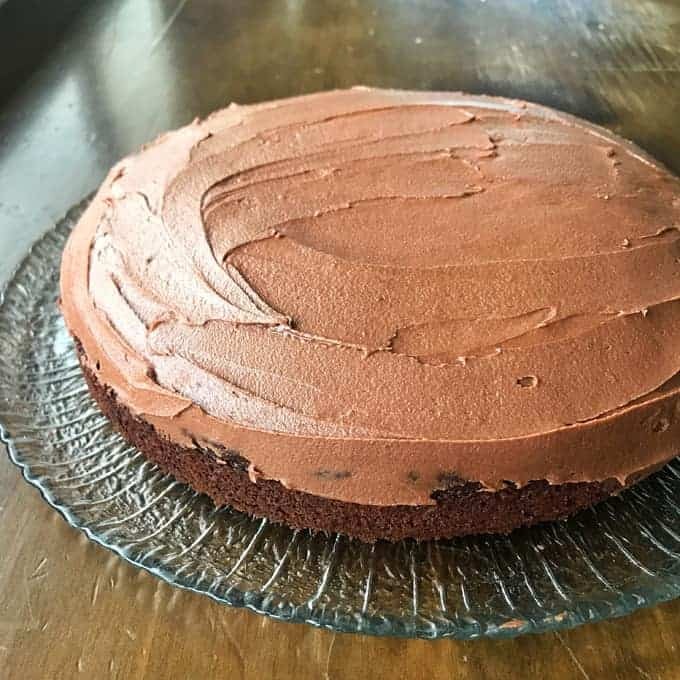 I hope you enjoy this easy recipe for banana chocolate cake, you really can’t go wrong. 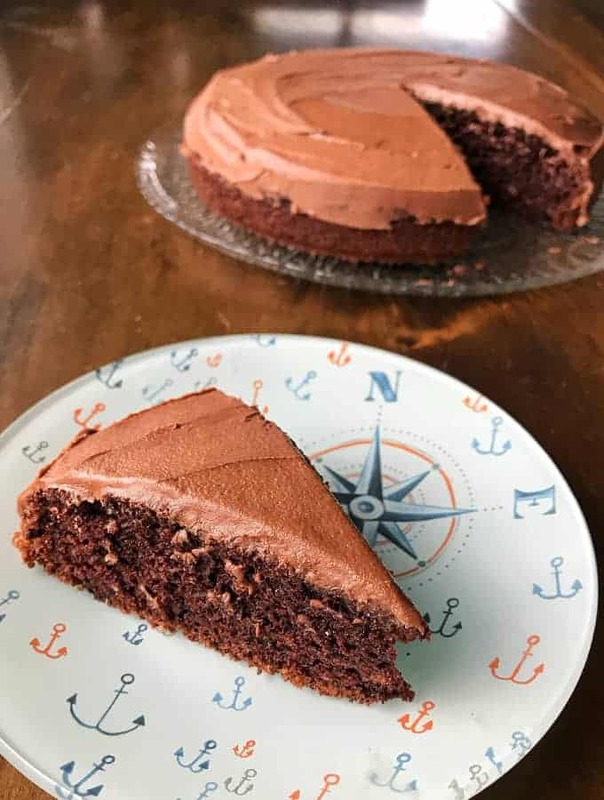 This chocolate banana cake is our family's favourite, it is so easy to make and a great way to use up over ripe bananas! Preheat oven to 180°C fanbake. Mix together butter, sugar, egg and vanilla in a large bowl. Add banana and yoghurt then stir again. Sift in flour, baking powder, salt and cocoa. Dissolve baking soda in boiling water then pour into bowl and fold everything together until combined. 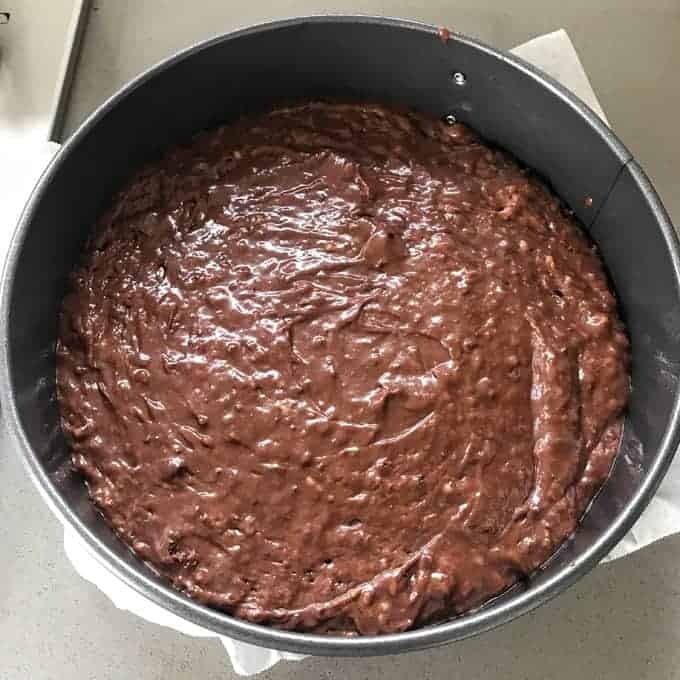 Pour mixture into a greased, lined cake tin. Bake for 30-40 minutes until cake is cooked through. For the icing: Combine icing sugar and cocoa powder. Add softened butter and pour in boiling water. Mix together with a knife or spatula, adding more water if required until smooth. Spread over cake once it has cooled.